A couple of weeks ago, I had the lovely pleasure of flying to Sydney for a three day training course. I was so excited about the trip and couldn’t wait to get there. Also the fact I didn’t have to go to work for three days was a bonus I have to say! As we all know, these days many airlines now go ‘el budgeto” and offer travellers the option to purchase food on the plane; it is quite rare to find an airline who provide free meals, especially so on short haul flights. As I had an early morning flight, I took these various factors into consideration and decided to pack my own breakfast which consisted of an egg sandwich. I also didn’t want to spend a fortune buying unhealthy food on the plane. So I got to the airport, checked in and found a nice comfortable spot to eat my sandwich. Okay I feel nice and full now, so I should be okay until I get to Sydney. If you don’t know me by now, I love my food and have anxiety if food isn’t easily accessible or very close by. I am ‘that girl’ that usually has a muesli bar close at hand in case of emergencies! Once boarded on the plane, myself and my fellow travellers settled into our allocated seats and started to relax and drift off. In my sleepiness, I heard over the intercom the air hostess say something about a complementary meal…. What? Did I hear that correctly? I’m going to be fed on this flight? 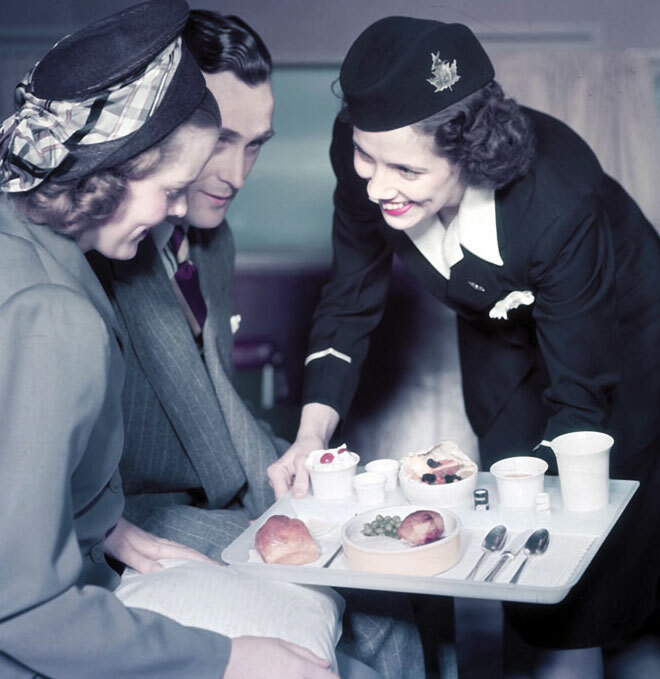 How the heck did this happen, airlines don’t provide meals anymore? So I then found myself in quite a dilemma I have to say! Do I pass up on this free meal? (Yes I like free meals don’t you know!) or do I be a little piggy and have a second breakfast? I was in such a state I didn’t know what option to choose! On one shoulder I had my little devil saying “Come on now Tracy, you know you can’t pass up on this opportunity” whilst on the other shoulder I had my personal trainer, Moira, saying “Tracy, do you really need those extra calories?” Now I’m sure you all know which option I chose… yep, I had a second breakfast, I just couldn’t help myself and it was delicious! Little roast potatoes, scrambled eggs and a cute little miniature muffin. A big congrats to Virgin Australia in my opinion. So you would then come to the conclusion, this was a one off incident right? Well no… On my return flight back to Perth (on a different airline I must add), all travellers were provided a complimentary meal…. Yes I had already eaten dinner at the airport, again thinking no meal would provided! YOU WOULD THINK I WOULD HAVE LEARNT THE FIRST TIME…. Let me just confirm with you now, yes I had a second dinner that evening and yes it was delicious! Oink Oink who’s the little piggy then! I'm a Kiwi living in Australia at the moment and loving it! aspiringwriter22 on You Gotta Let Go Already!